Amelie et Les Singes Bleus will perform at the 13th Annual Francophonie en Fete Music Festival on Fri. Sept. 21 2018. They are part of the Free Distillery Weekend Concerts performing Friday afternoon. Amelie & Les Singes Bleus is a group that is hard to label. Following the momentum of their first album “À l’étage des funambules”, ALSB (for insiders) continues to enchant and surprise with their new album “Entre Nous”. Do you like music cabaret-jazz-country-ska-mariachiswing-torch-Motown-samba-rock and roll-trip hop? Are you following? When we hear Entre Nous, the answer is a resounding YES. You see, ALSB does not bother with the musical concepts that the industry often imposes, like being able to pin down the musical genre. Like monkeys, they rely on their curiosity and let themselves be led. ALSB is learning the ropes in Toronto clubs, attracting audiences by playing replays of French classics through a kaleidoscope of influences. 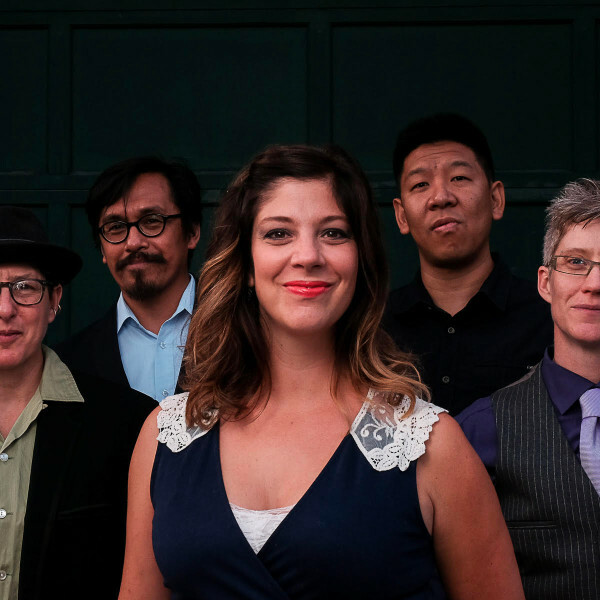 Edith Piaf seated in a slow jam rhythm, Jacques Brel who fights with Tom Waits at the corner bistro, the band is acclaimed for this style and it is why they won Réseau Ontario’s “Love at First Sight” prize in 2012. It is this sound that captivates the Canadian public.